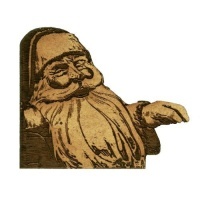 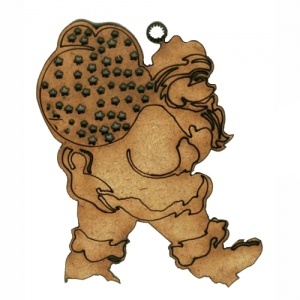 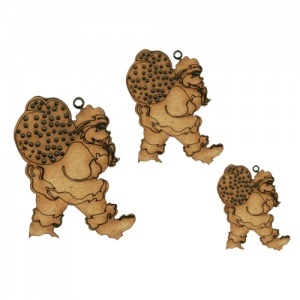 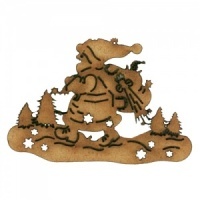 Jolly Santa wood shape features Santa carrying a sack of presents through the snow - this design comes with engraved detailing and wee little star cut outs. 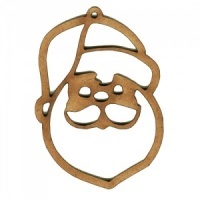 The bobble on Santa's hat can also be used to create an tree ornament or dangly. 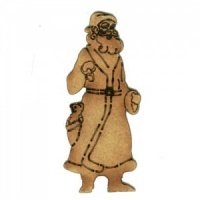 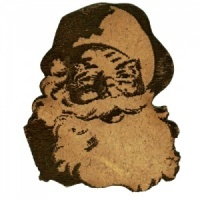 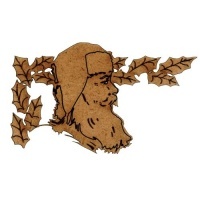 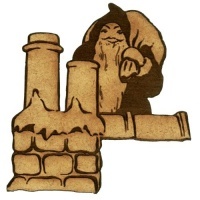 Ideal for Christmas, Winter and seasonal craft projects, this wood shape is laser cut from 2mm MDF and is available in 3 sizes - select your choice from the options above.